top view with front pointing down (not the absence of the spinal or transverse process'. bottom view with front facing to the right. A few months ago I went with my family to see my cousin in Charleston S.C. While there her friend took us fossil hunting. 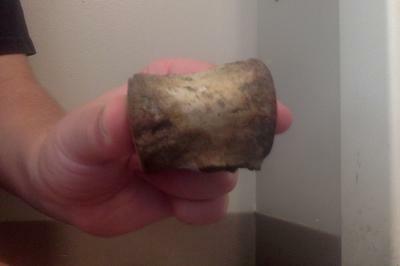 I found a few small meg teeth and some shark vertebra but didn't think much of an only shaped looking bone. now a few days ago I started to wonder about it. 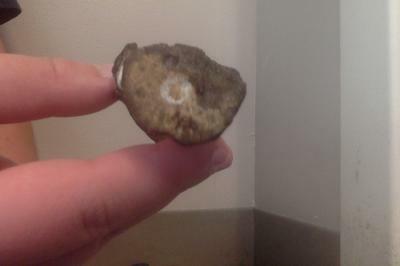 I can clearly see it is a whale vertebra but I dont know what kind of whale it is, or if it's even fossilized. 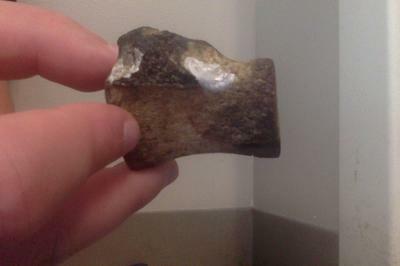 it is about 1.5 inches long and is missing both of the transverse process' and the spinal process. 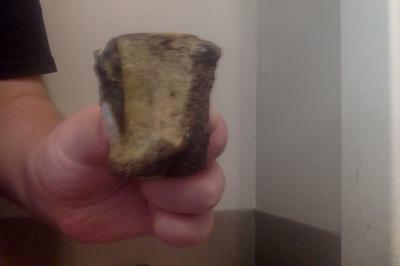 Comments for Unidentified whale vertebrae. It looks like vertebre, but from what I cannot tell. It looks a little small for whale, though near the tail the bones get smaller. Whales were a favored food for megalodons.